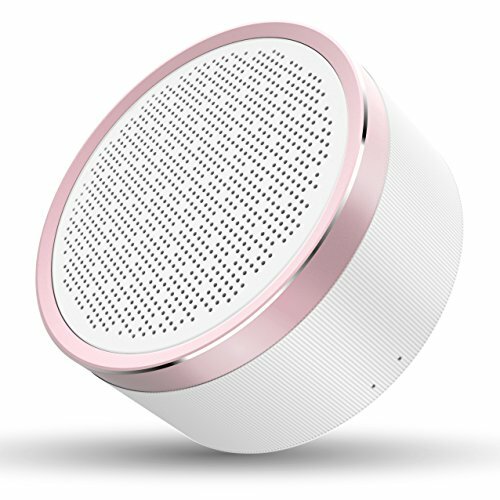 Color:Rose White Color:Rose White Why You Choose Our LINGYI Wireless Bluetooth Speakers? The speaker Super compact design,40mm 3W driver,with subwoofer resonator,You want a loud sound during the party? When watching a movie on a computer,at home party,you want a larger volume,better sound?all satisfy you !!! The speaker can play about 18 hours of continuous use,never Worry Battery Life ,The size of the speaker is small and the weight is light. You can take it outdoor easitly,such as traveling,camping trips, barbecues,or anywhere else you might need a little ambience. You can enjoy high quality music outdoor or indoor, take the sound of lingyi speaker with you anytime,anywhere. The wireless bluetooth speaker support most bluetooth device and non-bluetooth device.such as Micro SD card insert,3.5mm AUX-IN input and USB. You can enjoy music with bluetooth device or traditional non-bluetooth device such as computer and MP3 players. The small speakerphone built-in high sensitive microphone for hands-free calls and provide punchiest sound around via Aux-in connection. Note: Bluetooth speakers may have some loss of power during long-term transportation.It is recommended to fully charge the speakers when using for the first time.